Now if you are like most people when I tell them what I am doing your next question is "What the heck do you eat?!". The answer is meat, healthy fats, fruit, and lots and lots of veggies! I will be very honest with you - attempting to do a Whole30 makes me nervous! I have had a lot of self doubt and insecurity about starting this process. My goal in doing it is twofold - 1) to reset my eating habits in order to create a healthier relationship with food and 2) to prove to myself I can do it. And if I was being honest I would probably add 3) to look better in my wedding dress (that I have to wear in 6 months). I asked for the It Starts with Food and The Whole30: The 30-Day Guide to Total Health and Food Freedom for Christmas. I did this partly because I wanted to read them before I started and partly to keep myself accountable. If you are interested in learning more about the Whole30 program, I highly recommend reading It Starts with Food first. My big aha moment when reading the book was the he statement that foods we eat are either a positive or negative addition to our bodies - there are no neutral foods. We are bombarded with phrases like "healthy", "bad", "all natural", and "cheat meal". For whatever reason, changing the wording from good vs. bad to positive vs. negative really helps solidify the premise of the program for me. The Whole30 website is also an invaluable resource during the program. After reading other blogger's posts about their experience with the Whole30 I honestly felt discouraged and very nervous about my decision to try it. "I followed the Whole30 expect I...." was the sentiment of most of the stories I read. I am hoping that I can say "I followed the Whole30" without any exceptions! The only way to not to fail at the Whole30 is to plan and be prepared. Look at the ingredients in all of your spice blends and other stuff you have at home. I had to buy all new blends because all of them had sugar and cornstarch in them. Before I went shopping I decided what we were going to eat for the first week. My only recommendation is to keep it simple. If you aren't used to cooking 3 meals a day this part may be a little overwhelming! I went equipped with my grocery list and a few handy dandy cheat sheets from the Whole30 website (this and this). Do yourself a favor now and just keep those tabs open on your phone! Now this was probably the longest, most eye opening, and aggravating grocery store trips I have ever made. Don't expect to just toss everything in your cart and go. I had to read over every tomato sauce label until I found one with no added sugar. Do yourself one other favor memorize that anything ending in "ose" or "ol" is probably sugar - that way you don't have to hold up your phone to every can of tomato sauce in the middle of the aisle looking like a crazy person.... just trust me. One last tip - grab some easy no thinking required foods like Applegate Natural Uncured hot dogs or Aidelle's Chicken & Apple Sausages. Whatever you do - check labels for yourself! Don't assume because someone online said something is complaint, it is! 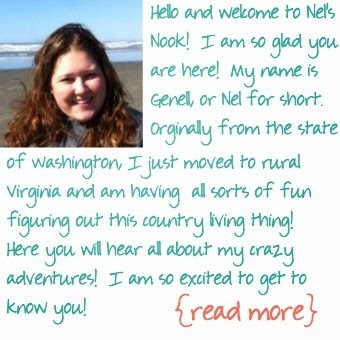 I am planning on capturing my journey on Instagram (@nelsnook) too so make sure you follow along! Have you done a Whole30 before? How did you get ready for it? What tips do you have for a slightly terrified newbie? ?